I once lost my original handle few months ago. then tried Jayco and Fender handle at the time. 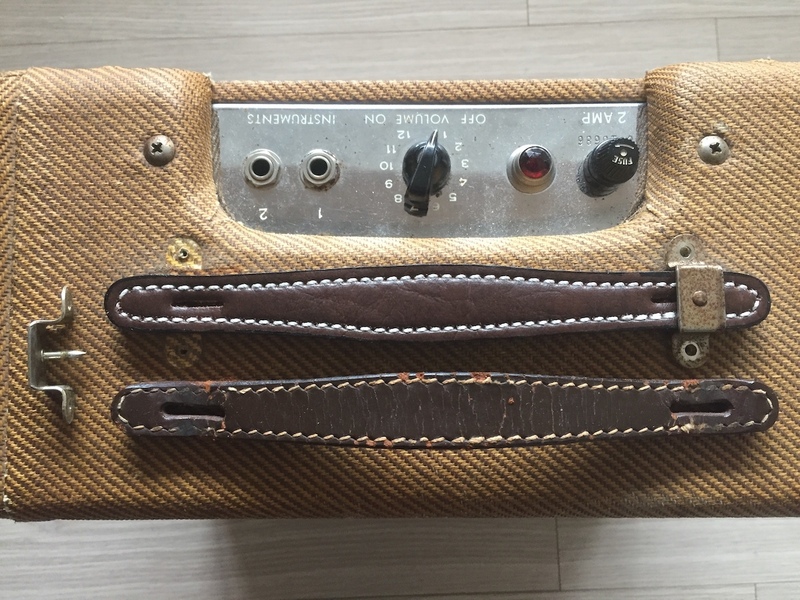 the first one I got from fender didn’t fit tweed champ like this. 003-6129-049 arrived today. unfortunately, it doesn’t fit either. 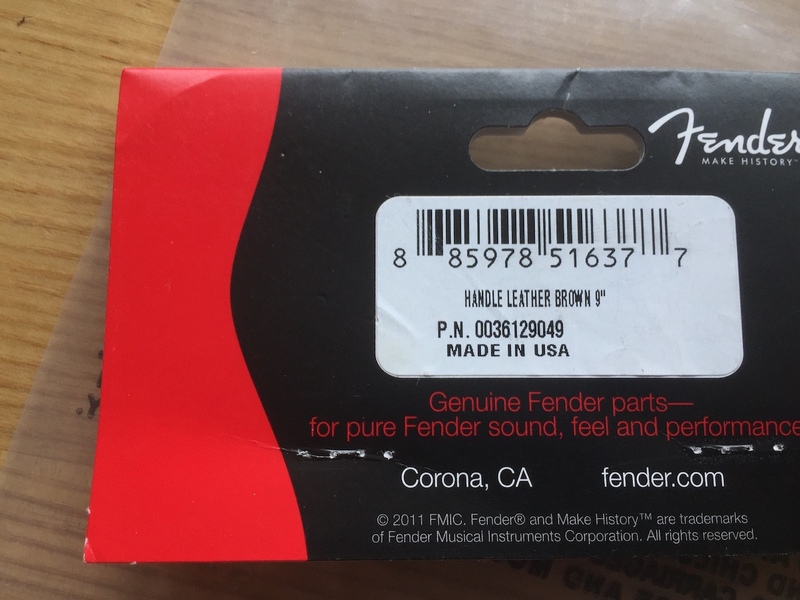 this 9″ handle from Fender has identical length to the 50’s original. but the slots are not wide enough. but it still better than 099-0945-049. it looks easy to extend the slots. And, I noticed 003-6129-049 fits the original wide panel tweed deluxe. this tweed deluxe currently has Jayco handle on it. they look almost identical to each other. and, I see the sewing stitches are better on Jayco. I once lost my original handle few months ago. then tried Jayco and Fender handle at the time. 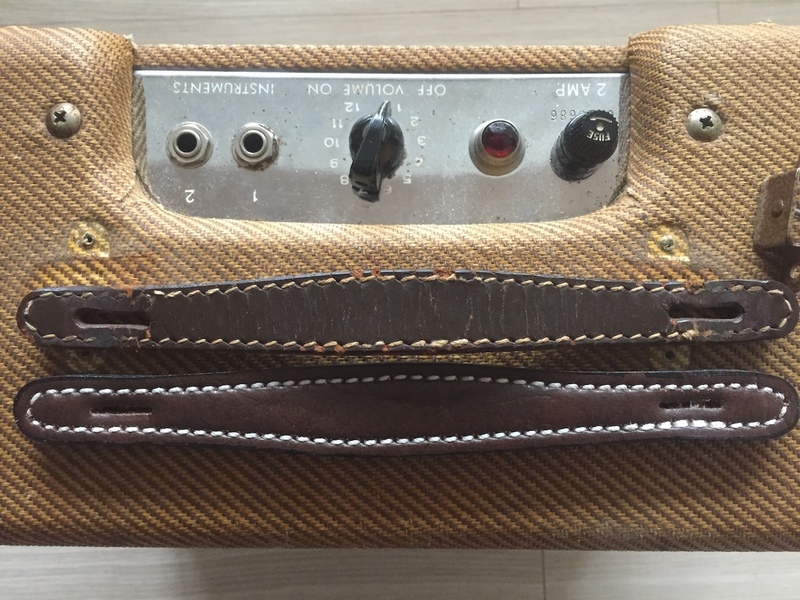 the first one I got from fender didn't fit tweed champ like this. 003-6129-049 arrived today. unfortunately, it doesn't fit either. 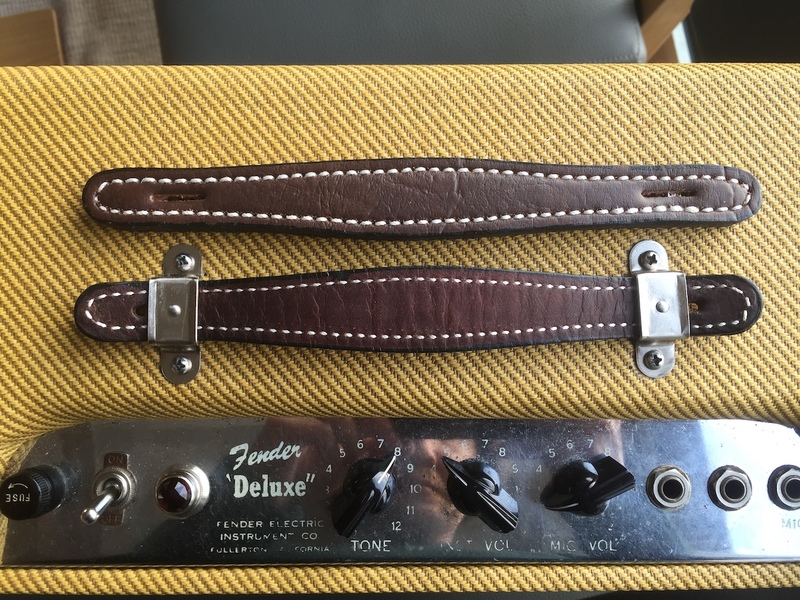 this 9" handle from Fender has identical length to the 50's original. but the slots are not wide enough. but it still better than 099-0945-049. it looks easy to extend the slots.